Wilden has launched a new e-commerce store. Wilden, part of Dover Corp’s PSG, says that its new online store at wildenstore.psgdover.com is the first self-directed platform of its kind for any pump brand in the industry. The new Wilden Store provides an online shopping environment where end users can easily find appropriate and authentic spare parts and accessories for their Wilden pumps. Users can also find comparable Wilden pumps based on competitor part numbers. 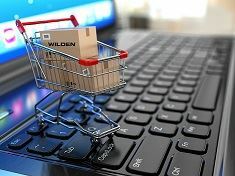 The new e-commerce platform integrates a localized distributor network that will provide product, service and technical support once a customer purchases a Wilden product online. This will ensure that the products end users receive are authorized Wilden components. “Along with our channel partners, we are very proud to offer our customers a market leading e-commerce platform that meets the on-demand needs and buying habits of our customers,” said Michael Solso, Americas – Director of Business Development for Wilden and PSG. “We recognize that many of our customers are looking for alternative channels to purchase pumps and parts online. The Wilden Store provides an easy-to-use platform designed for our customers to simply buy Wilden pumps and parts on-demand,” added Solso.